Do You Know These 10 PA Dutch Carpentry Words? Most Amish speak a dialect known as Pennsylvania German or Pennsylvania Dutch as their primary language. It’s generally not used as a written tongue, though that doesn’t mean it’s not written, in one form or another, from time to time. And so today we have a list of terms for you to guess (or if you know PA Dutch already, this should be pretty easy). Ohio Amishman Mark Curtis has previously shared 25 PA Dutch kitchen terms (Part 1 and Part 2) and a list of 12 similar-sounding PA Dutch words. 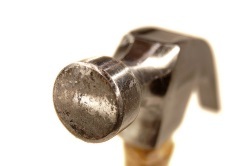 Today Mark shares a list of 10 terms which you might hear a carpenter use. These are particularly relevant since carpentry and woodworking are such common professions among the Amish. Any idea what these mean? Special thanks to Mark’s father Don for getting these words to us. 19 responses to Do You Know These 10 PA Dutch Carpentry Words? John nailed all the words except for #2 and #5. These are very common words in our area. Horst, from my German background here in Berlin (Germany) I tried to understand the words. BTW, my father`s name is also Horst, but the name got old-fashioned since 60 years here in Deutschland. already I wondered a bit if this is correct English. Now it shows they have a Latin word for it (square). Thank you to the list and contributors, it was great fun, and I am keenly following the discussions on all spects of culture on this site. but your writing representation is just something own. Some of these words are similar to our Hutterisch ones. Others not so much. Always interesting to compare words between two related languages. which ist still quite close to Deutsch, but has adopted more Latin words. Beats me! But it’s always interesting to learn. As usual, I wish I could “hear” them, too. What is the correct English name for it? Is the correct English name “L-Square Angle Ruler”? Well, I asked my son, Mark, about this. I don’t speak any Pennsylvania Dutch but he is quite fluent. He said that a vingle aisah in English is a carpenter’s square. Translated literally he says it means an angle iron. Aisah is Pennsylvania German for iron. For example he says a horse shoe is a hoof aisah. “Mein gaul hut si aisah schmissa.” My horse threw his shoe. MEIN GAUL HAT SEI EISAA SCHMISSA. which also reflects a bit upon mentalities. I am comparing such kind of German dialects in Siebenbuergen (Romania), Austria, Swizzerland, Elsass (France), etc. which goes along with habits and approaches expressed therein. Happy Thanksgiving to everyone!! And remember, “In everything give thanks; for this is God’s will for you in Christ Jesus.” Have a wonderful day!!! Here are the answers from Mark. “Züritüütsch” isch e sproch wo am änglische ganz nöch chunt. Mir käned zum biispil kei vergangeheit. Even some Anglo-German expressions have been maintained from olden times, whereas others are plain Latin-French borrowings. So, this reflects on the ENGLISH language. Leave a reply to Do You Know These 10 PA Dutch Carpentry Words?